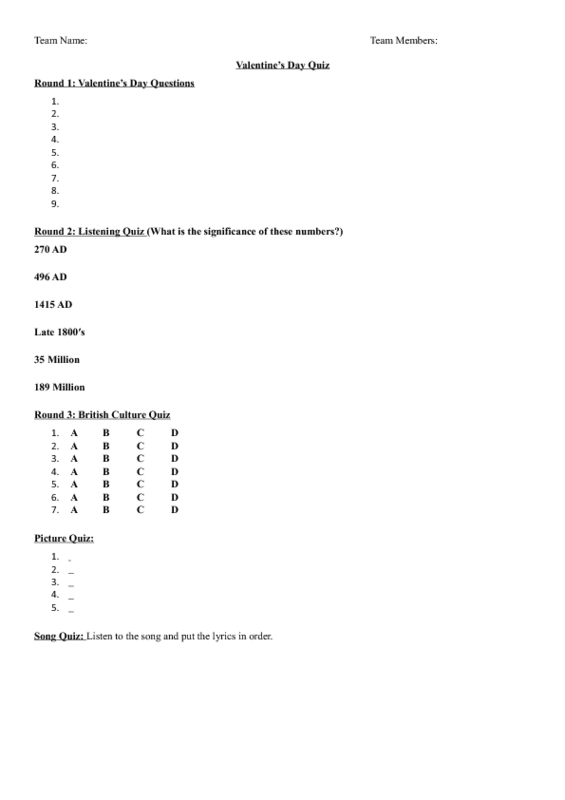 Valentine's Day Quiz (PPT for Groups or Individuals) - Answer Sheet. - 9 valentines day questions (general knowledge, grammar, vocab). - A listening activity with 6 blanks to fill in. - A British culture quiz (7 questions).